Look no further for a great venue to hold a corporate event or personal fantastic celebration! We offer all of the accommodations needed to celebrate in grand fashion. With three decks providing a comfortable seating for up to 100 guests, upscale catering at everyday prices and a full bar available Lady of the Lake is a great choice for your event! 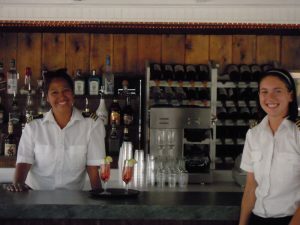 Well known for our exemplary hospitality we offer complimentary lemonade, ice tea, coffee and sodas served with every menu selection, a full cash bar and table linens are part of every cruise. Lady of the Lake specializes in private cruises and wants to show you the best event possible!